We all have a need to know who we are and how our personality works for us, and sometimes against us, as individuals. Coupled with our life experiences our personality drives our thoughts, thinking and activity. Understanding that the experiences we have, and our interpretation of these, will help us become better informed of the impact that every decision we make has on our lives. Our unique personality will often help or hinder our quest to seek solutions to issues and problems. This may also stop us exploring obvious ways of dealing with personal and emotional issues that would benefit from counselling assistance. Our inner self needs all the positive encouragement it can get and our personality is key to understanding what we need for our own good. Accepting that our inner self is a feeling, and intuitive, self also enables us to work towards seeking guidance to resolve issues and concerns that have developed and grown. 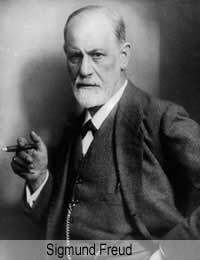 The acquisition of pleasure and self-preservation were the key components of Freud’s thinking. As individuals we are born into conditioning and understanding who we are helps us acknowledge our uniqueness and the way in which we are best suited to dealing with concerns that create issues and problems, and which is turn may require counselling assistance. Freud was able to explain the difference between what we feel and believe and what it is we think that we feel and believe. The questions Who am I? and Who are we? formed the basis of much of Carl Jung’s work. He also recognised the limitations we all have in understanding and accepting certain issues and problems in our lives and in finding the answers to these dilemmas. Jung studied religions, myths, alchemy, astrology and thought in order to gain a better understanding of the way our mind works. His core belief was that the unconscious holds far more than personal and repressed base instincts and desires. Rogers’ belief in an individual having the answer to their own problems created a form of counselling that was client, or person, centred. This form of counselling requires that the relationship between the counsellor and client is as equal as possible, and that unconditional positive regard, and acceptance, remains the focus throughout the counselling process. This allows the client to accept the true self as opposed to the false self that is created by conditioning and limiting beliefs. It is important to understand that when issues and dilemmas arise in our personal lives that we are still able to find solutions for ourselves. Expecting a counsellor to come up with the answer to your problem is not only disempowering yourself but also creating a false illusion. Self-knowledge is acquired by understanding yourself on a deeper level, and this stems from accepting yourself and your personality. Personality is the driving force behind seeking ways to improve the self. Healthy personal growth enables an individual to explore positive ways of changing limiting habits, which in turn allows for more self-expression and acceptance. Understanding the inner resources we all have will also enable us to work, in the best way, with what we have whilst we seek positive ways of increasing self-awareness and reducing the need for counselling support. @ed - have you tried the 'Myers Briggs personality test' which is based on the Jungian philosophy? It was really helpful for me in understanding my personality and who I am. You might want to give it a go, you can do it free online. It made me feel a lot better about myself as we all have little quirks and things we like and dislike about our personalities, if you believe when it says you are one of only 16 basic personality types, it helps you not feel so alone. Please forgive spelling.For many years i have failed to understand who i truly am, my personality always seems to be changed for those who i currently converse with. At times i feel level headed and understand a good deal. And there are times i become loud in voice and overconfident to be the centre of attention without undestanding i am ding so. There are times when i am quiet(yes sir 3 bags full sir) even if i know more than i let on. I am always trying to please and do the right thing even though i should walk away and not help those who don't help themselves. As a child i was alone and found it hard to make friends or approach people. In all honestay i would say my mental development was delayed with the environment which i grew up in, i was babied as a child of 3. Anound found it easyer to socialise with those 3 years my junior. I can only asume that my traits are a result of the my child hood surroundings of little good and a majority of bad experiances. Sometimes i hate who i am and some time love, it is difficult sometimes to show emotion the right emotion for that given sittuation. I would consider to over over happy or extramly down which goes against what i see in other people. Just what i could understand more of who i am.